Archive available later after live webcast. ** Please note that the programme air-time on TV is different with webcast time. Communist bloc faced a great change in 1989, but not perished. North Korea is one of the communist regime still existed with huge gestures in recent years. 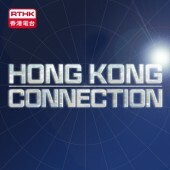 Hong Kong Connection's reporters observed this self-claimed "happiest kingdom" in close proximity.